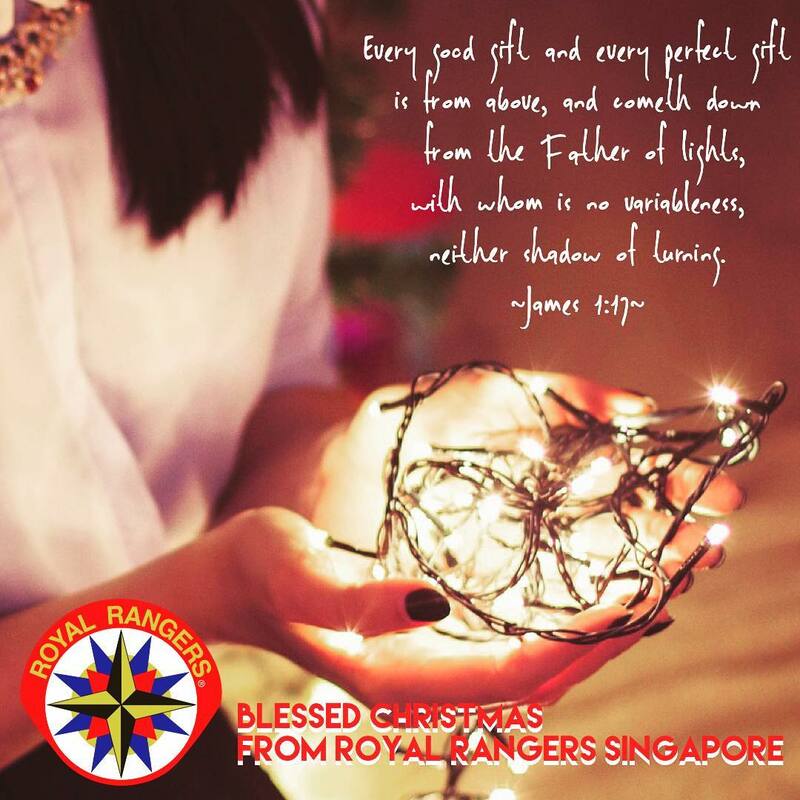 Royal Rangers Singapore – Making Great Servant Leaders! An outreach program & tool for your church to reach children & youths in various social & cultural context. With activities, merits and through adventurous journeys, children & youths gain life skills and unique experiences. 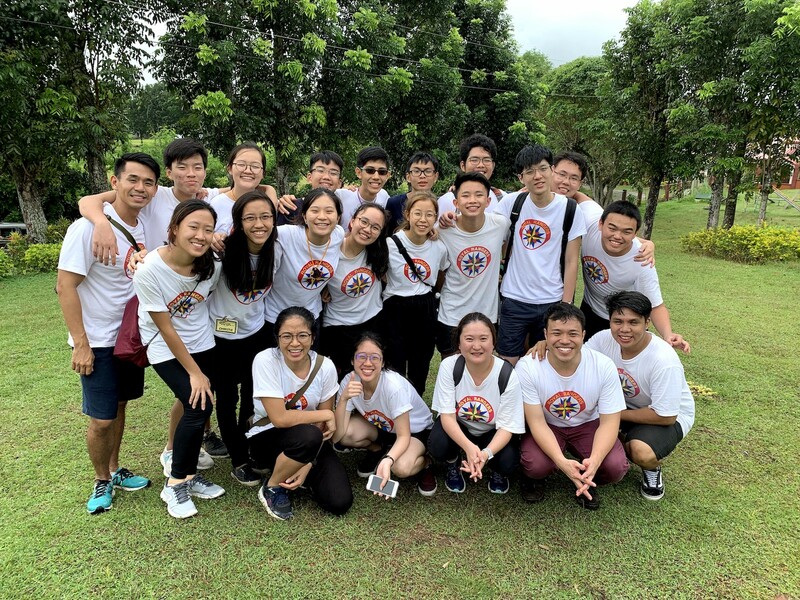 Mentoring youths into servant leadership to impact their world through the great commandment & commission. 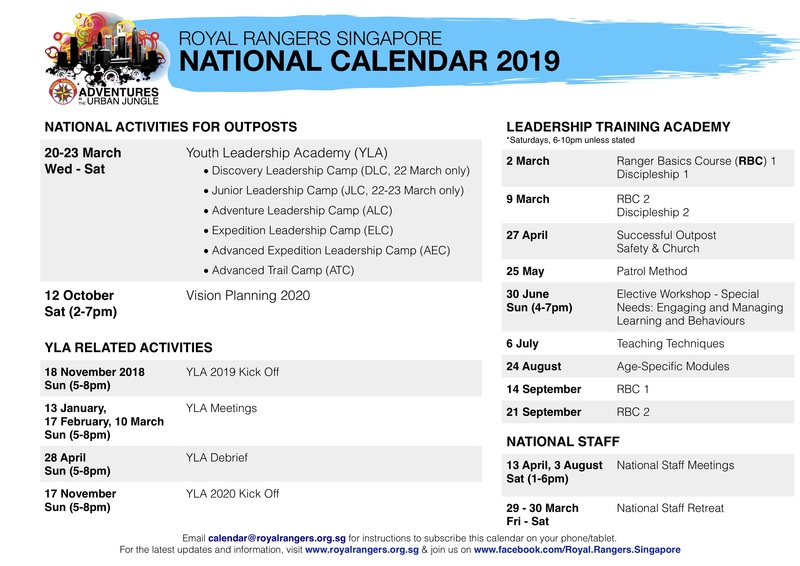 Royal Rangers is for 5-18 years olds and there are various age groups to cater for the unique growth and challenges of the child. Real Stories. Real Life. Real Impact. Thank you to all the commanders and helpers! My daughter had great fun and is always happy to be at RR activities. I've seen young adults who literally grew up in the RR community standout amongst the others. They are confident, mature, positive, outspoken, leaders of their generation. This is the community where I want my children to grow up and be trained to be a mighty army of God! 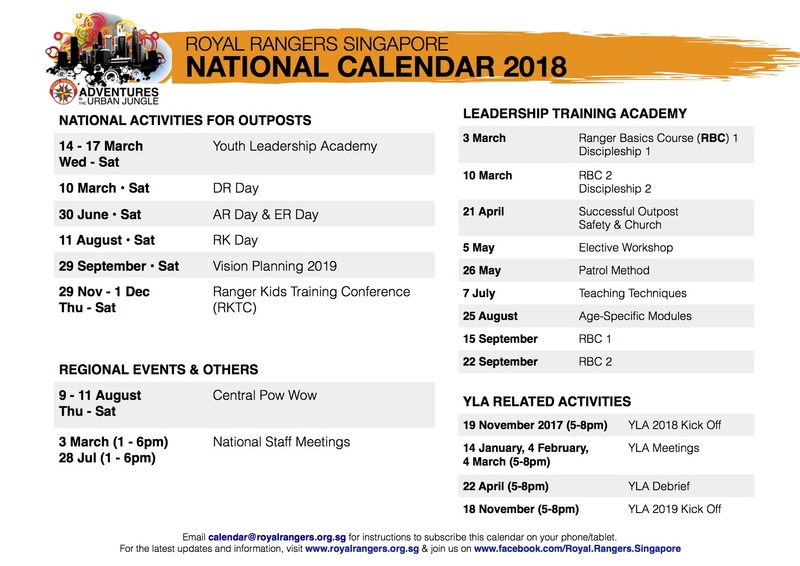 If you are interested for your children to join, please check the locations of various churches running Royal Rangers and contact them directly.